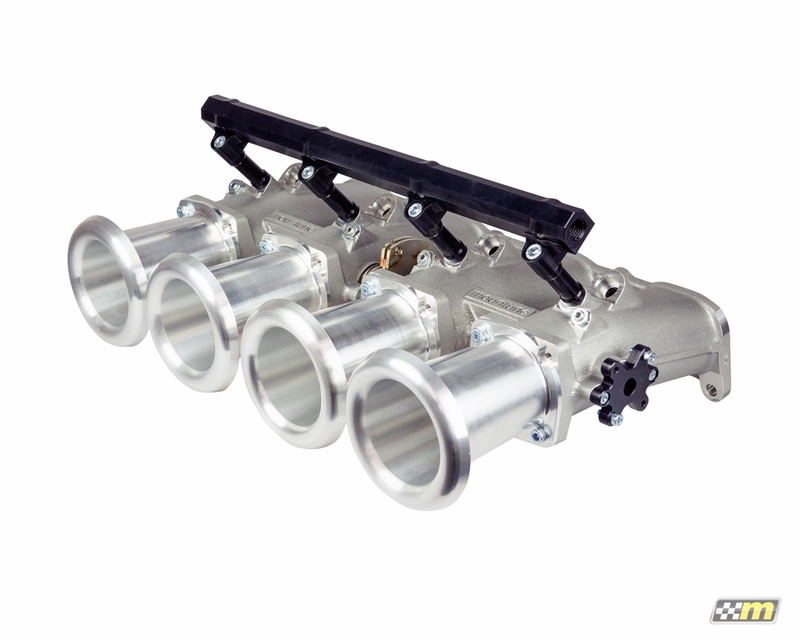 The mountune Individual Port Throttle for the 2.5L Ford Duratec is the key to maximum power. 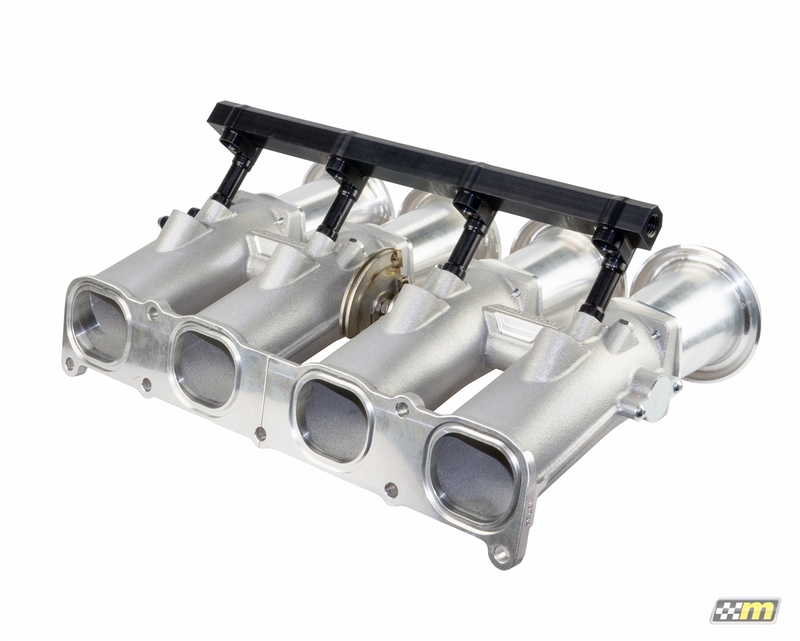 The throttle assembly features large bore ports in a one piece casting to ensure durability in a wide range of operational conditions. 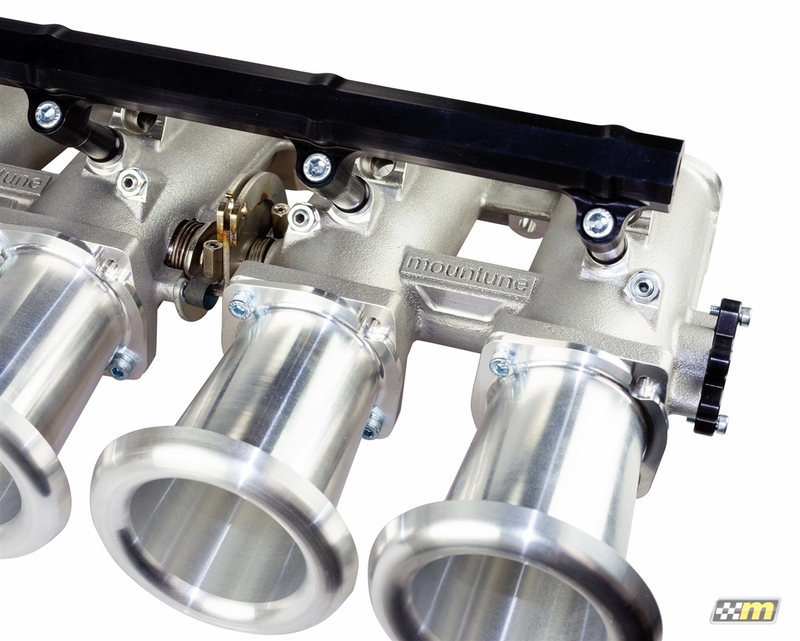 Machined inlet trumpets and billet fuel rail complete the assembly. Fuel injectors not included.